The Freshlook Colorblend contact lenses are made by Ciba Vision with a natural 3 in 1 technology to blend more naturally with your eyes. Brown is the most common eye color present in 55% of people. It is rare for some ethnicities, such as African Americans and Asians, to have any color other than brown eyes. Some interracial mixes have dark or Asian skin and light eyes, but it is a relatively rare occurrence. Dark eyes are dark because they contain more melanin than light eyes. Some eyes contain so much melanin they appear ‘black’ however they are technically still ‘brown’. Those with brown eyes are seen as more dominant and trustworthy, as found by several scientific studies. Honey eyes are technically ‘brown’, however they have a unique glow resulting in lighter eyes from less melanin. Honey eyes often seem to glow with an otherworldly color, and honey colored-contacts have been used in vampire movies to portray this otherworldliness, such as Twilight. The Honey Freshlook lenses have an iridescent glow similar to that of vampires in many popular movies. 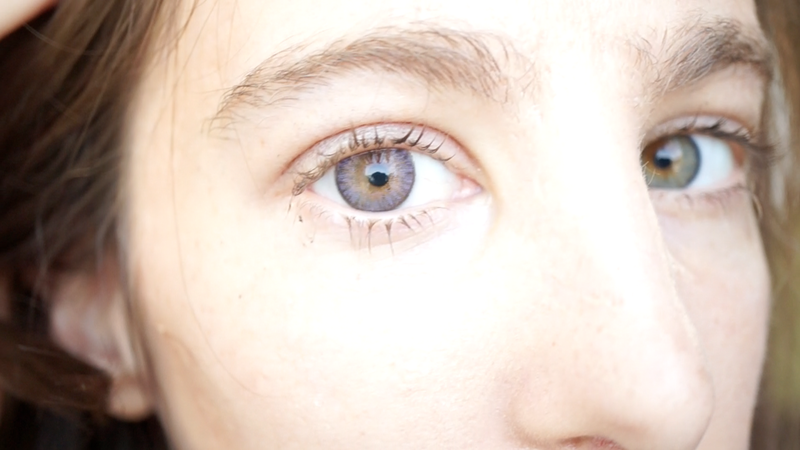 Blue is one of the most rare eye colors and is only naturally possessed by 8% of people. Norway and Sweden have huge blue-eyed populations with the majority, 88%, naturally possessing the color and Finland has an even higher blue-eyed population with 89% naturally having blue eyes. 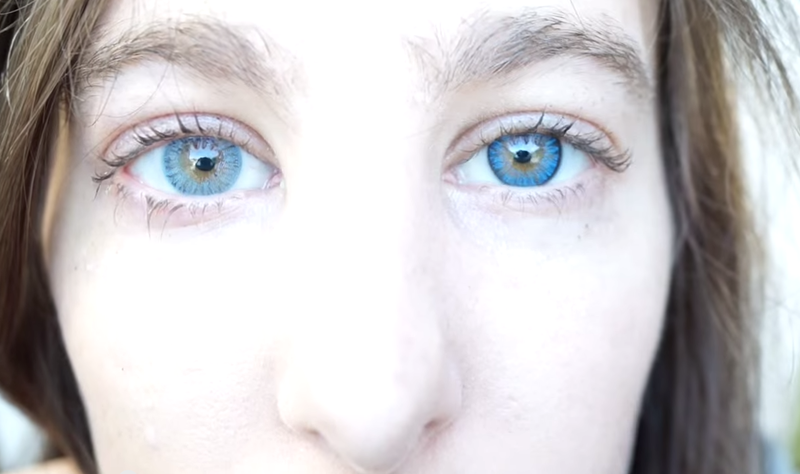 An interesting blue-eyed fact is that Lester David’s study concluded that women with blue eyes are perceived as more feminine. Green eyes are perhaps the rarest eye color in the world, with only 2% of the population being born with naturally green eyes. Interestingly enough, most people would also choose to have green eyes if they could choose a color other than the one they were born with. The Green Freshlook lenses are lighter than their Gemstone Green counterpart. Hazel eyes are also rarer than most eye colors, like green eyes are. 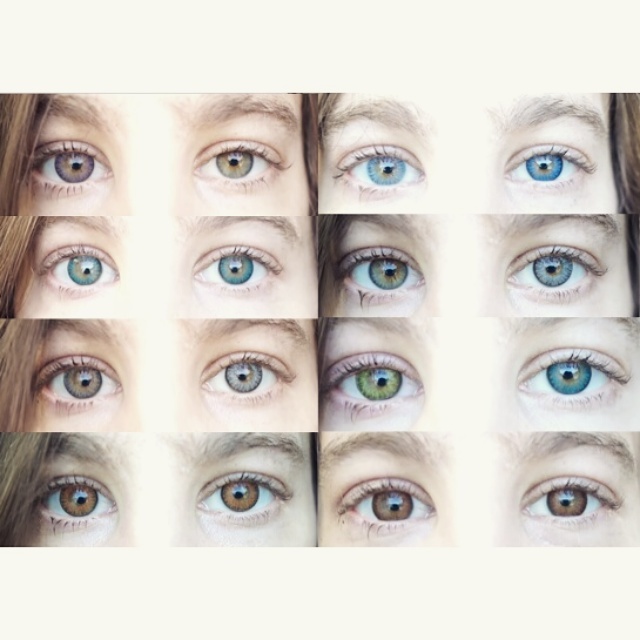 Hazel is a more common eye color than pure green. The Hazel Freshlook lenses are a mix of green and brown, and they blend naturally with most eye colors. Remember to take out and clean your Freshlook Colorblends every night. After two weeks dispose of your current pair and start wearing a new pair for optimum comfort. Hope this was helpful, and thanks for making it this far, I see a pair of beautiful contact lenses in your future! If you’ve never put contacts on before, don’t worry, it’s not too hard once you practice a little and get the hang of it. Here is a helpful “how to put on your contact lens” video that is funny (ok, I think it is funny and I am easily amused) and it also highlights some common struggles contact lens wearers face. Feel free to watch it if you want some guidance learning how to put your lenses on, or if you just want to laugh at me!